Home to last year’s Olympic Games, Brazil’s megacity Rio de Janeiro has a population of more than 6 million and is the fourth largest city in Latin America. São Paulo, meanwhile, is the largest city on the continent and his home to almost 12 million. And they are only expected to grow. By 2040, the UN estimates that 65 percent of the world will live in cities. Most jobs are concentrated in city centers. But the majority of residents already live on city outskirts or further afield in the state. Cities like Rio and São Paulo will have to deal with housing challenges, congestion and water supply among others. Data can present a potential solution to the problems presented by growing and changing cities. The term ‘smart cities’, evoking visions of hoverboard-toting crowds and LED-embellished buildings, unsurprisingly elicits scoffs and eye-rolls. But smart cities are already evolving. Brazil’s megacity Rio de Janeiro is just one of the global cities leveraging ‘big data’ to overcome its challenges. Douglas Tsukimoto, marketing director at JCDecaux, says that Rio offers the opportunity to understand how people move within the city. Speaking at technology conference Rio Futuro, Tsukimoto said that just monitoring these movements gives urban planners an idea of “the most concentrated areas of traffic and movement”. According to Guilherme Wilson, head of planning and control at Rio’s municipal transport agency, being a smart city doesn’t necessarily mean adopting new technology. Since most people already carry smartphones, that’s a wealth of information for companies and governments to tap into. Residents’ adoption of technology means that vádeônibus, an app that allows cariocas to figure out the best bus routes, preceded Google Maps. Highly location-specific and more regularly updated, vádeônibus is often more efficient than Google’s service. Flavia Rosario, marketing director for navigation app Waze, said that Rio’s progress improving transport is a result of public and private sector collaboration. After three years, Waze is in 40 percent of the world’s top global cities, including Rio and São Paulo. Rosario says Rio is an example of how public and private sector collaboration can help cities to cope with visitors and growing populations alike. In addition to helping with the mass influx that came for the Olympics, Waze’s information can have a real-time effect on everyday life in the city. With collaborative efforts between services like Waze and city governments, and residents already receptive to the technology, smart cities are evolving unseen across the planet. 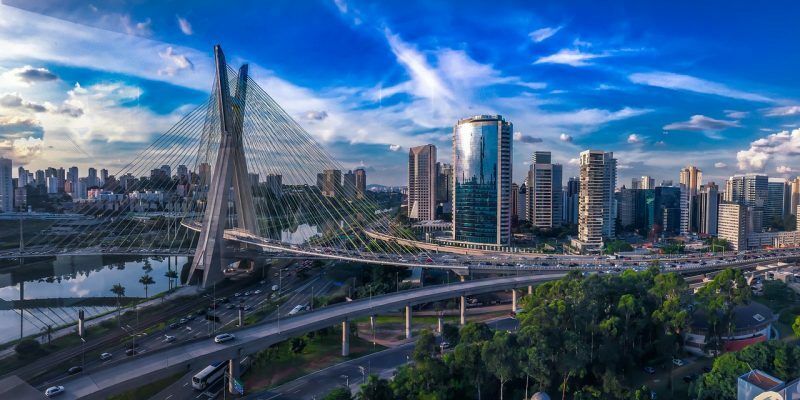 And with Brazilian consumers’ receptiveness to technology, it looks as though Brazil may be about to create some of the world’s more functional metropolises.